Ten points, and a Tony, to Gryffindor! 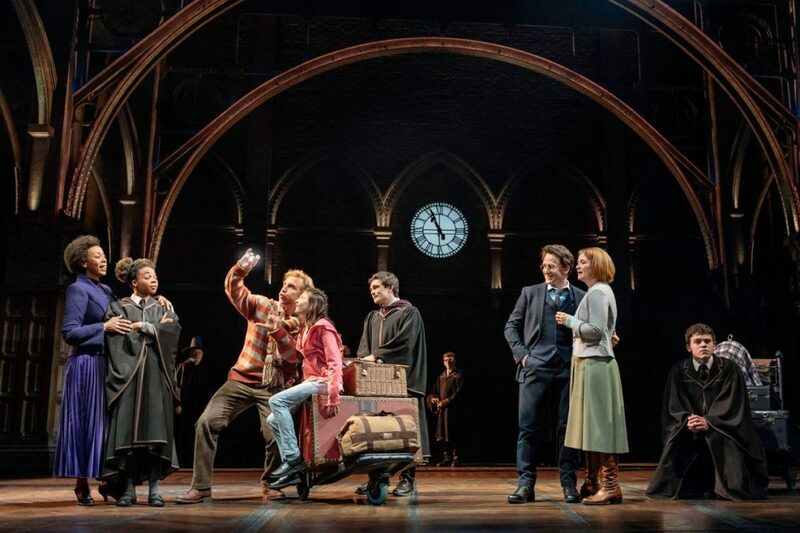 Penned by Jack Thorne, The eighth installment of the blockbuster book and film franchise, Harry Potter and the Cursed Child, was named Best Play at the 72nd Annual Tony Awards at Radio City Music Hall on June 10. The production beat out fellow nominees Farinelli and the King by Claire van Kampen, The Children by Lucy Kirkwood, Junk by Ayad Akhtar and Latin History for Morons by John Leguizamo. "When Colin Callender and I first approached J.K. Rowling about producing a new play based on the great themes of Harry Potter—pain, love, loss, family and grief," producer Sonia Friedman addressed the audience"—one thing we wanted to do was to create a community of fans and theatergoers—a new community of theatergoers—and celebrate the power of imagination. And thanks to the extraordinary imagination of John Tiffany and Jack Thorne, we did that. We created the most wondrous piece. So, thank you to J.K. Rowling for entrusting us with your wizarding world." Cursed Child picks up on the stories of Hogwarts alums Harry, Ron and Hermione 19 years after the events of the seven-book series. During the two-part play, the characters—and their offspring—deal with the weight of family legacies, tumultuous father-son relationships and a past that creeps menacingly into the present. With an original story by Potter creator J.K. Rowling, director John Tiffany and Thorne, the epic theatrical addition to the franchise earned 10 Tony nominations this year. Tiffany was named Best Director of a play earlier in the evening, and the show also recieved Tonys for Best Sound Design, Best Lighting Design, Best Scenic Design and Best Costume Design. This marks Thorne's Broadway writing debut and first Tony nomination. The playwright also won Best New Play for Cursed Chid at the 2017 Olivier Awards. He also wrote the book to King Kong, bowing on Broadway this fall. Watch Thorne, Rowling and Tiffany discuss why this story needs to be told on stage at the production's opening. The Broadway.com Show.